Surveyor 1, the first of the Surveyor missions to make a successful soft landing, proved the validity of the spacecraft’s design and landing technique. In addition to transmitting more than 11,000 pictures, Surveyor sent information on the bearing strength of the lunar soil, the radar reflectivity and temperature. 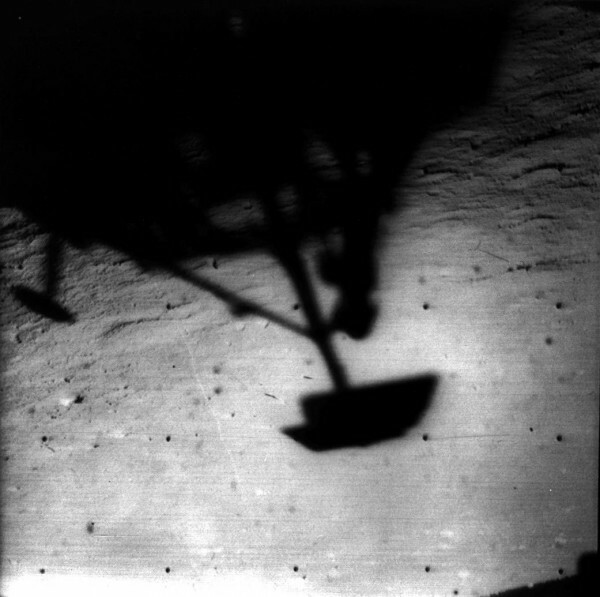 This image of Surveyor 1’s shadow shows it against the lunar surface in the late lunar afternoon, with the horizon at the upper right. Surveyor 1 was launched on May 30, 1966, and landed on June 2, 1966.